Jenkins, A.R., du Plessis, J., Colyn, R., Cooke, P-J, & Benn, G. 2013. Copperton Wind Energy Facility: avian impact risk assessment and mitigation scheme. Report to Plan8. Jenkins, A.R., du Plessis, J., Colyn, R., Cooke, P-J, & Benn, G. 2013. Riverbank Wind Energy Facility: avian impact risk assessment and mitigation scheme. Report to Just Energy. Jenkins, A.R., du Plessis, J., Colyn, R., Cooke, P-J, & Benn, G. 2013. Perdekraal Wind Energy Facility: avian impact risk assessment and mitigation scheme. Report to Mainstream. Jenkins, A.R., du Plessis, J., Colyn, R., Cooke, P-J, & Benn, G. 2013. Msenge Emoyeni Wind Energy Facility: avian impact risk assessment and mitigation scheme. Report to Windlab Developments South Africa (Pty) Ltd.
Jenkins, A.R. & du Plessis, J. 2013. Proposed PV2-4 photovoltaic energy plants on the farm Du Plessis Dam near De Aar, Northern Cape: Avian impact assessment. Report to Aurecon South Africa (Pty) Ltd.
Jenkins, A.R. & du Plessis, J. 2013. Proposed PV2-5 photovoltaic energy plants on the farm Badenhorst Dam near De Aar, Northern Cape: Avian impact assessment. Report to Aurecon South Africa (Pty) Ltd.
Jenkins, A.R. & du Plessis, J. 2013. 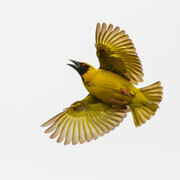 Proposed PV2-7 photovoltaic energy plants on the farm Klipgats near Copperton, Northern Cape: Avian impact assessment. Report to Aurecon South Africa (Pty) Ltd.
Jenkins, A.R. & du Plessis, J. 2013. Proposed PV2-10 photovoltaic energy plants on the farm Hoekplaas near Copperton, Northern Cape: Avian impact assessment. Report to Aurecon South Africa (Pty) Ltd.
Jenkins, A.R. & du Plessis, J. 2013. Proposed hydropower station and associated infrastructure at Boegoeberg Dam on the Orange River, Northern Cape: Avian impact assessment. Report to Aurecon South Africa (Pty) Ltd.
Jenkins, A.R. 2013. Avian impact assessment for the proposed Caledon Flight Park. Report to Amathemba Environmental Management Consulting. Jenkins, A.R. 2013. Construction of an 11 kV power line and LV reticulation network to supply the Goedverwacht settlement in the Piketberg area, Western Cape Province: Avian impact assessment. Report to SiVEST. Jenkins, A.R. 2013. De Hoek-Mountain 66 kV distribution line, route alternatives 5 & 6: Basic assessment. Report to SiVEST. Jenkins, A.R. 2013. Kwaggaskloof-Hammanshof 66 kV power line re-build: avian impact assessment. Report to SiVEST. Jenkins, A.R. 2013. eThekwini wind repowering project – Avian impact assessment: Scoping study. Report to eThekwini Municipality. Jenkins, A.R. 2013. Hoekklip-Zandkopsdrift 132 kV power line: avian impact assessment. Report to Gibb. Jenkins, A.R., du Plessis, J., Colyn, R., Cooke, P-J, & Benn, G. 2012. Klipheuwel Wind Energy Facility: avian impact risk assessment and mitigation scheme. Report to BioTherm Energy. Jenkins, A.R., du Plessis, J., Colyn, R., Cooke, P-J, & Benn, G. 2012. 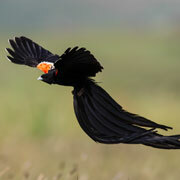 Rheboksfontein Wind Energy Facility: avian impact risk assessment and mitigation scheme. Report to Moyeng Energy (Pty) Ltd.
Jenkins, A.R., du Plessis, J., Colyn, R., Cooke, P-J, & Benn, G. 2012. West Coast One Wind Energy Facility: avian impact risk assessment and mitigation scheme. Report to Moyeng Energy (Pty) Ltd.
Jenkins, A.R., du Plessis, J., Colyn, R., Cooke, P-J, & Benn, G. 2012. 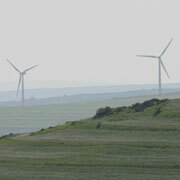 Amakahla Emoyeni Wind Energy Facility: avian impact risk assessment and mitigation scheme. Report to Windlab Developments South Africa (Pty) Ltd.
Jenkins, A.R., du Plessis, J., Colyn, R., Cooke, P-J, & Benn, G. 2012. 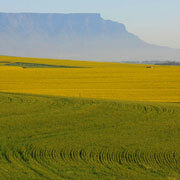 Clover Valley and Groenekloof Wind Energy Facilities: avian impact assessment. Report to Withers Environmental. Jenkins, A.R., van Rooyen, C.S., Smallie, J.J., Anderson, M.D. & Smit, H.A. 2012. Best practice guidelines for avian monitoring and impact mitigation at proposed wind energy development sites in southern Africa,1st Revision. 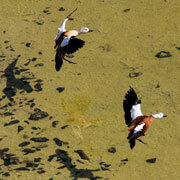 Endangered Wildlife Trust/BirdLife South Africa, Johannesburg. Jenkins, A.R. & Allan, D.G. 2012. Lesotho Wind Power Project: avian impact assessment – scoping study. Report to ERM Southern Africa. Jenkins, A.R. 2013. Proposed hydropower station and associated infrastructure at Orange Falls, Namibia: Avian impact assessment. Report to Aurecon South Africa (Pty) Ltd.
Jenkins, A.R. 2012. Sea water desalination plant in the Saldanha Bay area, Western Cape, South Africa: Environmental impact assessment – terrestrial birds. Report to the CSIR Environmental Management Services. Jenkins, A.R. 2012. Letseng Wind Farm: bird impact assessment. Report to Classical Environmental Management Services. Jenkins, A.R. 2012. 132 kV power line linking the proposed Tsitsikamma Community Wind Energy Facility with the proposed extension of the Diep river substation: Basic Assessment. Report to Savannah Environmental (Pty) Ltd.
Jenkins, A.R. 2012. Copperton photovoltaic energy facilities 2 3 & 4: Bird impact assessments. Reports to Aurecon South Africa (Pty) Ltd.
Jenkins, A.R. 2012. Mainstream Aberdeen wind energy facility: Bird impact assessment - Scoping. Report to Savannah Environmental (Pty) Ltd.
Jenkins, A.R. 2011. Kappa-Omega 765 kV power line: Avian inputs to the environmental management plan. Report to NCC Environmental Services. Jenkins, A.R. 2011. Clover Valley and Groene Kloof renewable energy facilities: Bird impact assessment - Scoping study. Report to Withers Environmental Consultants. Jenkins, A.R. 2011. Olifants River wind energy facility: Bird impact assessment - Scoping. Report to Savannah Environmental (Pty) Ltd.
Jenkins, A.R. 2011. Tsitsikamma Community wind energy facility: Bird impact assessment. Report to Savannah Environmental (Pty) Ltd.
Jenkins, A.R. 2011. Happy Valley wind energy facility: Bird impact assessment. Report to Savannah Environmental (Pty) Ltd.
Jenkins, A.R. 2011. Vleesbaai wind energy facility: Bird impact assessment. Report to ERM Southern Africa. Jenkins, A.R. 2011. Olyven Kolk PV solar power plant: Bird impact assessment. Report to ERM Southern Africa. Jenkins, A.R. 2011. Beaufort West - N1 wind energy facility: Bird impact assessment. Report to Cape Environmental Assessment Practitioners (Pty) Ltd.
Jenkins, A.R. 2011. Copperton wind energy facility: Bird impact assessment. Report to Aurecon South Africa (Pty) Ltd.
Jenkins, A.R. 2011. Isivunguvungu wind farm, Saldanha: Basic assessment - avifauna. Report to Aurecon South Africa (Pty) Ltd.
Jenkins, A.R. 2011. Exxaro wind energy facility: Avian impact assessment. Report to Savannah Environmental Pty (Ltd). Jenkins, A.R. 2011. Gouda wind energy facility: Avian impact assessment. Report to Savannah Environmental Pty (Ltd). Jenkins, A.R. 2011. Deep River wind energy facility: Avian impact assessment. Report to Savannah Environmental Pty (Ltd). Jenkins, A.R. 2011. Uyekraal wind energy facility: Avian impact assessment. Report to Savannah Environmental Pty (Ltd). Jenkins, A.R. 2011. Karoo renewable energy facility: Avian impact assessment. Report to Savannah Environmental Pty (Ltd). Jenkins, A.R. 2011. Proposed development of Erf 6988, Langebaan: Bird Impact Assessment. Report to Johan Neethling Environmental Services cc. Jenkins, A.R. 2011. Environmental Management Plan for the construction of Eskom’s proposed 66 kV overhead power line between Riviersonderend and Vryheid: Avian Habitat Assessment. Report to SiVEST SA (Pty) Ltd.